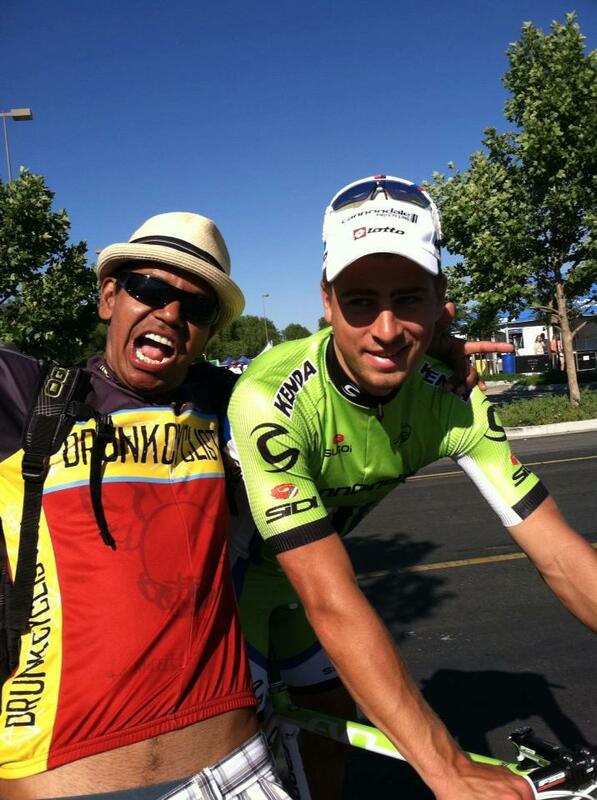 Over on the blue page, we had a fan post a couple pictures of himself winning the GC at the Tour of California. Now I don’t know about you, but I sure as hell want to be there with this guy, going beer for beer, watching those skinnies suffer in the blazing heat. 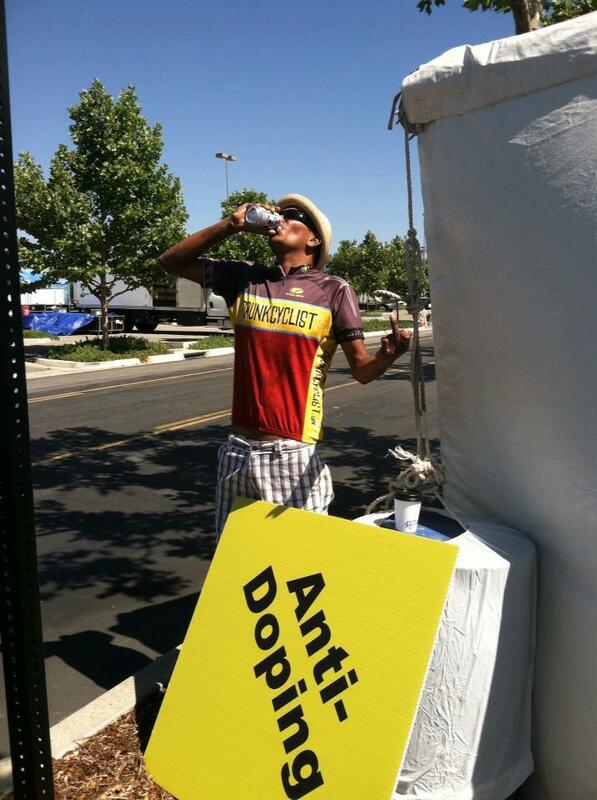 Tour of California says nope to dope. 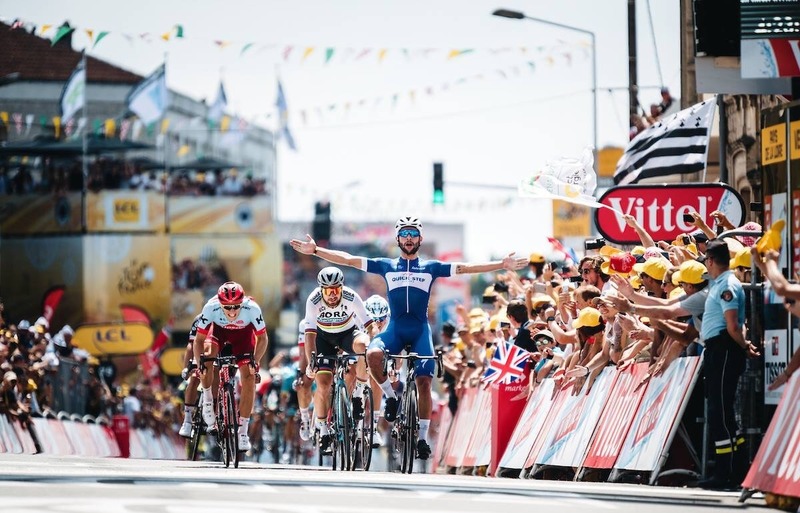 I was quite impressed by the coverage of yesterday’s stage and will likely tune in again this afternoon for the action. Chad Beyer was in the break all day and he straight laid down the hurt until getting swallowed up late. It looked massively painful and not only did he get his team plenty of lens time, but also took the Most Courageous Rider prize, earning him a new jersey and some hot lip. 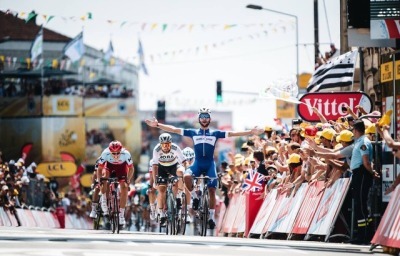 One thing I don’t understand though is how these guys can stand up there in lycra, get smooched by beautiful women, and not give the full salute? It baffles my mind. 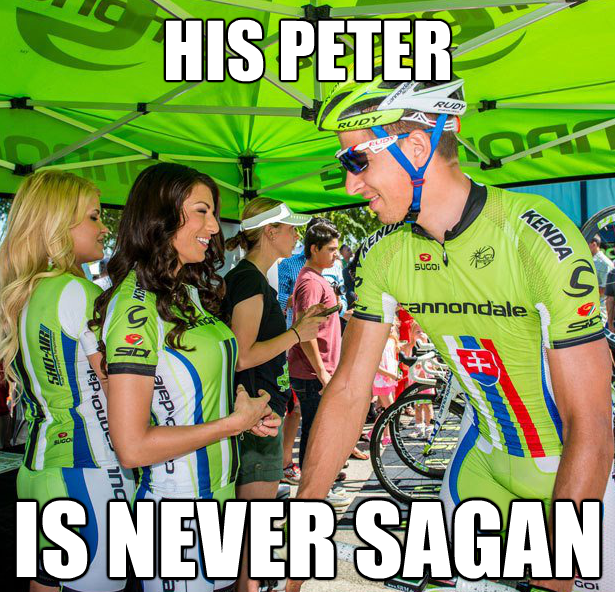 Oh wait, Boners of the Peloton…I rest my case. Baller. If you saw it live yesterday, he did a funky dance after crossing the line. Put his hands behind his head and flopped ’em like a bird. Does anyone know the name of that dance? Is it some iteration of the chicken dance? What the hell was that? Because I want to learn. Anyways, if you’re into this sort of racing, you can find coverage here. Today should be good again, so plop your worked self on the couch, rub some icy hot on your balls, crack a cold brew and enjoy the action. And remember kids, being a baller has it’s perks (pun intended). Spreading the love like smooth peanut butter on sliced bread, son. Told him to keep his paws on the bars. Coming soon to a boring race near you. Also, I just realized there was a lot of talk about balls and boners and stuff, get over it. 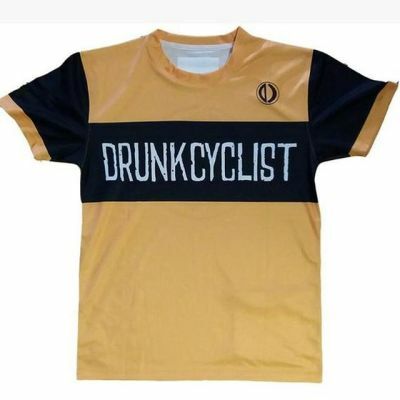 This entry was posted in Drinking, Racing, Straight Baller by Cupcake. Bookmark the permalink. Yeah, that’s a wild dingo!! !